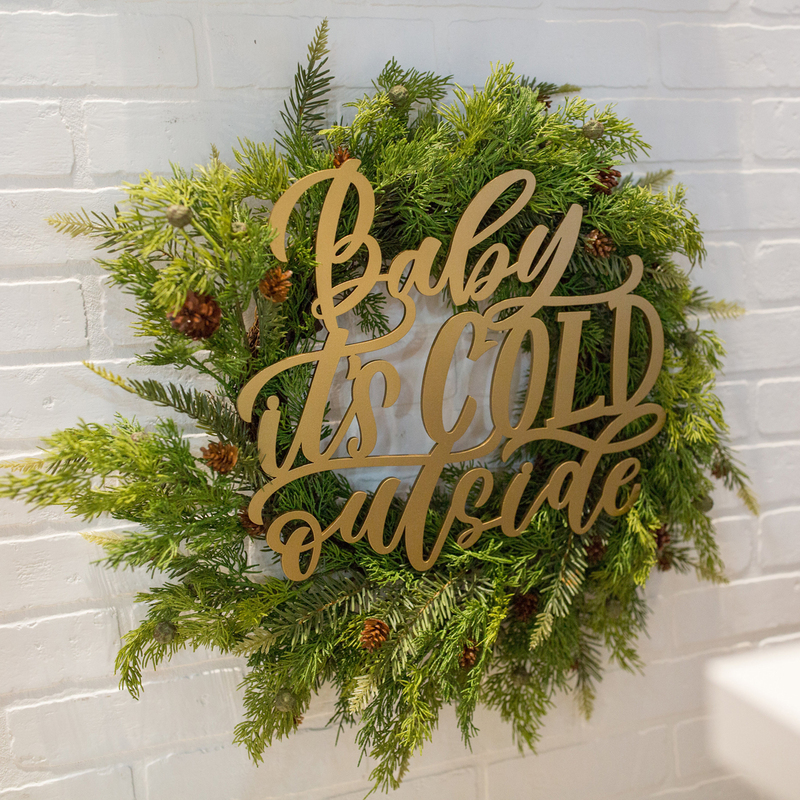 Our holiday signs were born out of our love for Christmas and celebrating the holiday season! 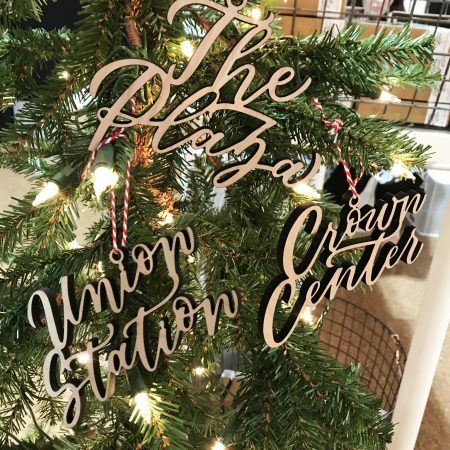 Our goal as a family is to spread Christmas cheer and bring some good into the world through hand lettered designs. 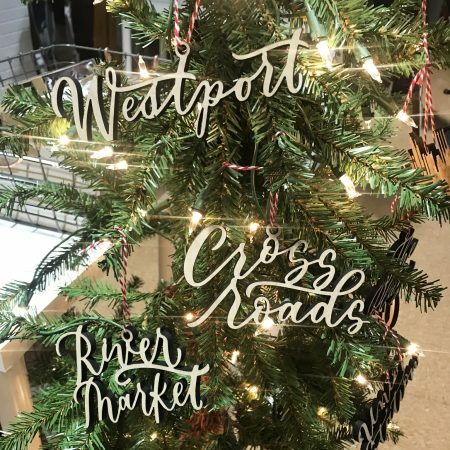 Since 2015, we have been adding new designs to the holiday sign collection, now totaling 7 designs! 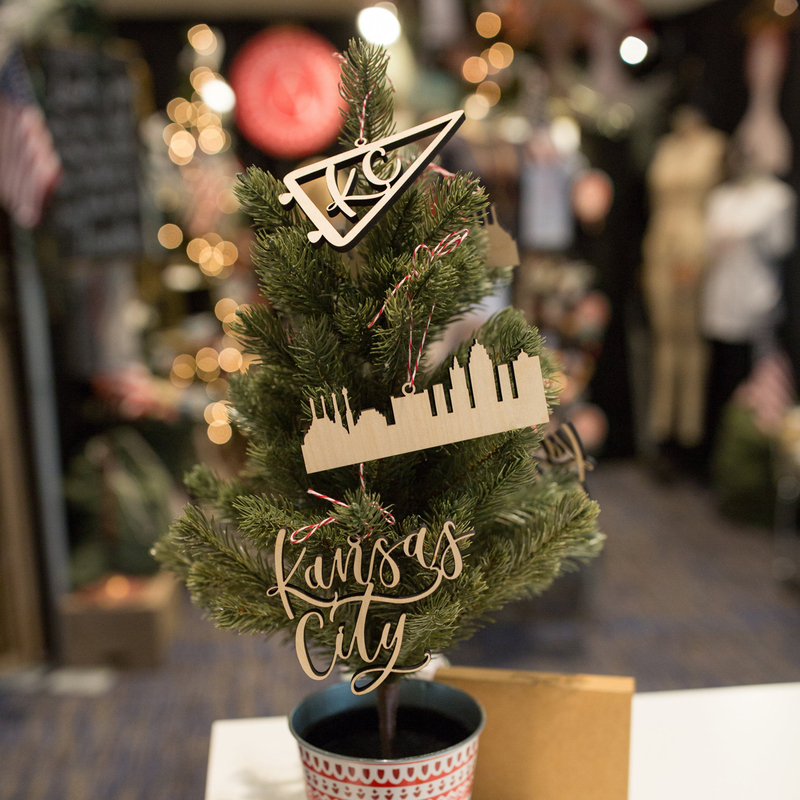 Each of our 7 holiday designs are hand illustrated by Lauren, then locally laser cut and professionally painted. Please note: wreath not included. 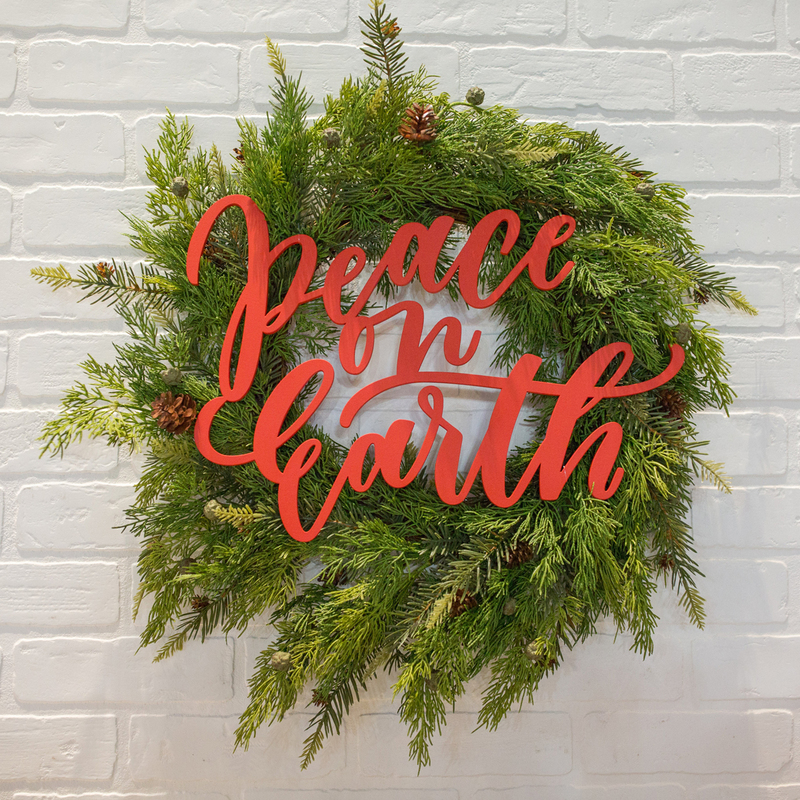 Most our of customers attach these signs to wreaths, and display on their front door (as pictured). The signs are easily attached to wreaths using fishing line. We personally use 30 lb. fishing line, purchased at a sporting goods store. Please note: wreath not included. Customers also display these signs above their fireplaces/on their mantle, or adhere directly to the wall. We suggest using Command Strips to hang these signs on the wall (with no damage, of course!). We simply cut the strips down to size we need, and stick them on the back of the sign, then press hard onto the wall. Material: Locally laser cut out of 1/4″ Birch wood, and professionally painted red or gold. Paint options: Red or gold. 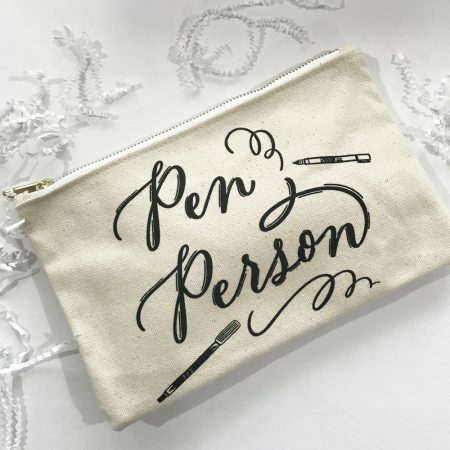 Are you interested in a custom project with other words/phrases? We love to create custom pieces for weddings, businesses, events, nurseries and homes. 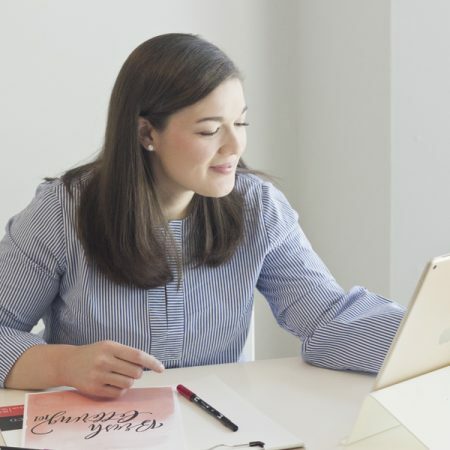 Simply contact us via the contact form or by email, [email protected], to discuss your custom piece. Image by Sara Marie Photography.